We’ve gotten used to seeing the headlines about the “death of the high street,” “retail stores facing an apocalypse” and other equally scaremongering predictions. It’s been refreshing this week to hear that retail stores could be facing a renaissance, led by Amazon of all companies! Instead of dissipating, the role of store has evolved, and smart retailers should be examining how they can embrace this growing trend favoring experiences over products. In many ways it’s the pureplays leading the charge. Taking their online learnings and applying them offline. Amazon, a retailer at the forefront of this movement, announced yesterday plans to open a new format store. The store will sell popular items from their website, ranked 4 stars or above, such as toys and household goods, at the same time giving visitors the opportunity to play with Echo speakers, Kindle e-readers and other devices made by Amazon. In a blog post on the corporate website published Wednesday, Amazon stated their intention to make a bigger push into bricks-and-mortar retail. This move is the latest in a series that sees Amazon prioritizing face to face interaction with their customers. It comes on the heels of their acquisition of grocery chain Whole Foods and the introduction of their cashier-less convenience stores (of which it has been reported they plan to open an additional 3,000). At present, it’s unclear how far Amazon will take this new store format, and indeed how valuable it will be. Considering my own shopping habits, if I turn up to research items in a store, I typically have a high value item in mind I want to look at, such as a TV (or in my case a baby’s pram), arriving at the Amazon store and being faced with an array of kitchen appliances doesn’t help me much. It does feel a bit niche. But what it does tell us is that online success alone can’t compensate for face to face time with customers, and despite consumers increasingly adopting a digital mindset, there’s still very much a role for physical browsing. Amazon isn’t the only ones looking store-side. German Fashion marketplace, Zalando, have recently announced its rollout of a new standalone beauty destination: Zalando Beauty Station, located in its home city of Berlin. Zalando isn’t the only ones seeing stores as a stepping stone to customer contact. British pureplay etailer, Missguided, opened their first store, a mecca for Gen Zs some two years ago in Westfield Stratford-- an important move to establish itself as a “lifestyle brand”. From the generalist to the niche, stores are popping up across urban centers. Last week Gwyneth Paltrow's hugely successful wellness and lifestyle brand Goop, opened its first international pop-up store in London’s Notting Hill, selling an assortment of lifestyle, clothing, beauty and health products. Goop plans to use the stores to host what they call “activations,” namely show and tell style events to educate customers about their products and the benefits. 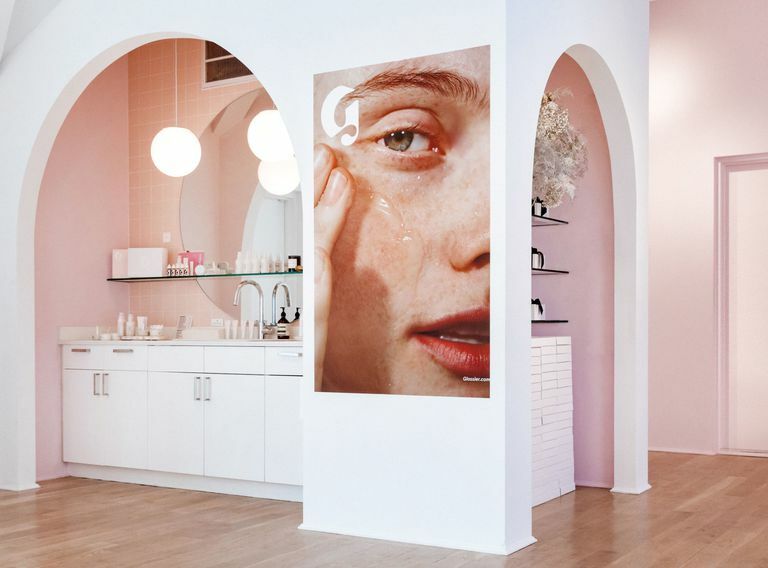 Stateside, Glossier are putting their recent $24 million investment to good use, introducing the Glossier Showroom. A beauty emporium of sold-out products that visitors can test, try, and importantly, see in person before purchasing online. At this year, we heard from the Macy’s leadership team on how they are making their biggest comeback yet. From innovative business models like Retail-as-a-Service (leasing in-store space to up and coming brands), Virtual Reality experiences for furniture buying, to their strategy to take on the highly competitive beauty market by breaking out of their prior brand-centric approach. They’ve relaunched their loyalty program with no barrier to entry, and handsome benefits for shopping across channels. Likewise, specialist brands are using their stores to differentiate from the competition (and the generalists). Ulta beauty repositioned their brand to become the largest beauty retailer in the US, opening 200 new format stores closer to urban centers where shoppers can use the Ulta app to scan different product barcodes and read customer reviews. Global sportswear giant Nike have pioneered an ultra-personalised in-store shopping experience with their experimental digital-meet-physical store project. From Sneaker Bars to Curbside pick-up and returns, Nike have reimagined their store as a leisure destination, rather than just the home of clothes racks. Increasingly, retailers are finally seeing the value of stores in enhancing their retail strategy. But the role of the store has changed. Customers are demanding more experiential based shopping, and for the retailers investing in providing this, it’s paying dividends. In each of these examples of retailers redefining store strategy, the trend is clear. It’s about becoming the destination. Offering customers a curated and memorable experience. 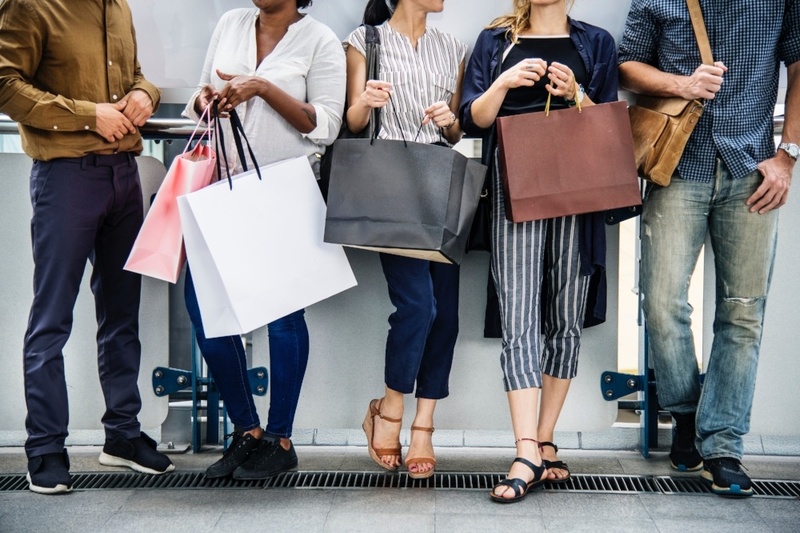 Retailers are using extensive online catalogs to build traffic, acquisition and customer loyalty then harnessing their physical stores to showcase best-selling items, leverage the locations as a pick-up point and to secure that vital facetime with customers. Online is providing the guiding light for offline experiences. It’s an exciting time for the global retail industry and the message is clear, there’s life in the old stores yet…. It’s up to retailers to revolutionize them!